WARNING! 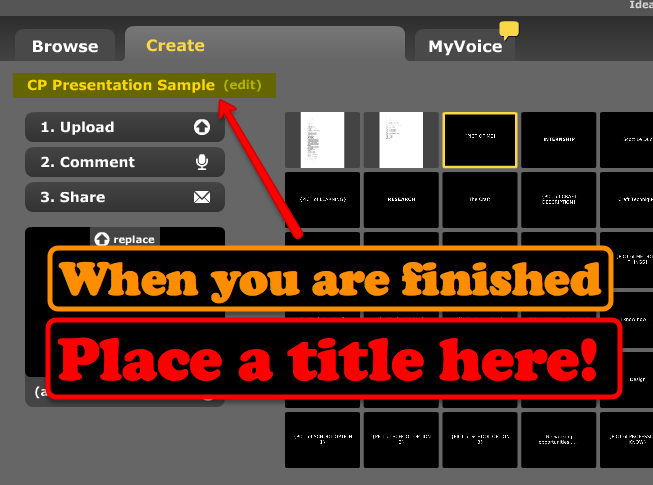 You must save your PowerPoint as a PowerPoint version or .pptx file first before uploading it. 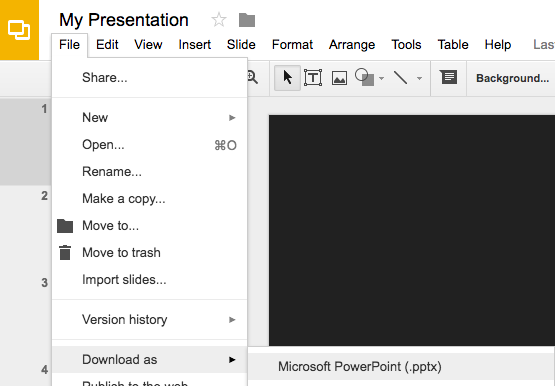 Download your Google Slides as a .pptx file. Do this by clicking FILE, then SELECTING the option DOWNLOAD AS. Look at the screenshot below. This is practice for your presentation. The more you go over your content and the flow of your storytelling the more comfortable you will be when you do it for real! Remember to title your VoiceThread with you name. This makes it easier for the viewer to find your wonderful work.